-All icons are 100x100 and flat-coloured with a plain/gradient background by default. -You may get a 50x50 version for old-version DA icon use if requested, compressed to suit DA's space restrictions. -If deemed necessary, I reserve the right to give a custom quote for individual icons regardless of any prices listed here. Contains one short action of decent complexity. Contains two short actions of decent complexity or one action of high complexity(these are judged on individual basis). +Animation complexity fee (unusually complex/smooth movements, extra actions, special effects etc. ): $?? These prices are for PERSONAL USE commissions only. If you'd like to commission me for a COMMERCIAL project, please send me a note for individual arrangements. Slots are normally NOT claimed on a "first-come-first-serve"-basis. I'll decide whether to accept your commission request after reading your note. Factors include commission type, complexity of the artwork and my current queue. Average completion time of a commission is roughly 2 weeks without a queue, however do not rely on this for any deadlines you may have. Estimate at least two months for good measure. In the event that I do offer first-come-first-serve slots, you MUST have the idea/payment for your commission ready at least within 48 hours after claiming! 1: Note me! Show me which character(s) you want drawn and explain your idea for the commission. We'll take it from there! 2: Payment! Once we've agreed on the details of your commission, payment is upfront and through Paypal(or DA if you're buying with ). 3: Success! Your artwork will be worked on shortly! I'll get back to you with the finished result! To see more specifications about each style, check out my commission journal or note me if you have any questions/would like a quote! 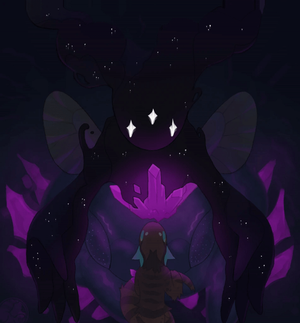 For more art examples, check out my gallery! Out of curiosity, can one send a note asking for a quote even when you aren't open? Sure thing, feel free to! Your icon is beautiful, do you offer them as a comm? Thank you so much for your compliment ;v; I am still working on figuring out their details and pricing etc. since they are relatively new, hoping to add them to my commission sheet/journal sometime soon! Ahhh thank you so much, I really appreciate your comment ;v; I try my best for sure! does the sun go on shiningggg? Easy to read and very fair prices. Good luck Arvie! 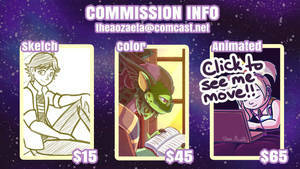 comment here or note if youre interested in commissioning me ! PRICES ARE IN GBP, USE GOOGLE TO CONVERT INTO WHATEVER CURRENCY YOU USE! Please do not send me a ref with a huge watermark! Please send me a clear reference sheet! Please let me know what species they are/what animal to use as a reference if you ordered from semi-realistic style! Please pay before I start! I'll hold a slot for 24 hours! I will note you an invoice once you have ordered! Once I am done with your commission(s) I will hide the comments to stay organized! Felt Doll Slots (Closed)To help pay for veterinary bills and school items, I am opening up 2 slots for some grem needle felt dolls. I have been practicing on felting and want to try grems some more. I have made 2 grem felts. One medium sized and one small one. Small ones stand more easily but it is much harder to get the details, especially things like eyes. I'm thinking of taking a few pixel commissions! they will be 50x50 icons as well as being resized up to 200x200 for viewing pleasure. they will be $15 usd each, I might take points too! comment below to grab a spot!